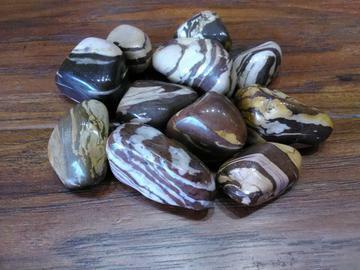 Brown Jasper, known also as Marble Jasper, is deeply connected to the planet as “home,” and engenders security and protection, nurturing and healing. Today Brown Jasper promotes ecological awareness and is highly effective in alleviating geopathic and environmental stress. It cleanses the physical and emotional body of toxins and negative thought forms, and repairs the aura, bringing stability and balance. Its frequency facilitates deep meditation and centering, and grants access to past lives for karmic healing. Sacred stone of protection. Deeply connected to Earth energies for renewed vitality. Cleanses physical & emotional body. Brings stability & balance. Repairs the aura. Dissolves rushes of fear, anger, or panic.